The American Wine Blog Awards seek to honor the very best in English-language wine blogging and to promote wine blogging in general. ... Once finalists are determined, the winners will be chosen based on a vote of the public carrying and judges, with the public given 70% of the weight toward determining the winner. Best Overall Wine Blog, Best Wine Blog Writing, Best Wine Reviewing Blog, Best Single-Subject Wine Blog, Best Graphics on a Wine Blog, Best Winery Blog, Best Wine Business Blog, and Best Wine Podcast or VideoBlog. So, why not US beer bloggers? And while I'm at it, why not beer book authors? As it stands now, the only US award in beer journalism goes to non-blogger short-form articles. 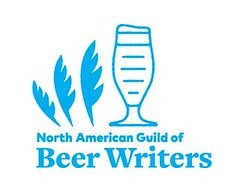 As I've written before, I don't think writers should be relying upon the Brewers Association, a trade group whose work we cover, to validate and pass judgment on our own efforts. As best I can tell, the wine blog awards are just the project of one individual or perhaps a handful more. As Alan and others have shown with their beer photo contests, individuals are more than capable of running their own competitions. 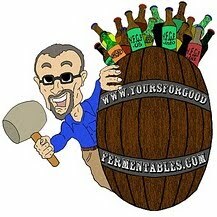 So I think that's where beer bloggers should be looking if they think they need an organized pat on the back.